DUMAGUETE CITY (PIA) – The City Government of Dumaguete is set to begin the public bidding for two new garbage compacters and four new dump trucks on the first quarter of 2017 in response to alleged frequent breakdown of units from the City Environment and Natural Resources Office (ENRO). 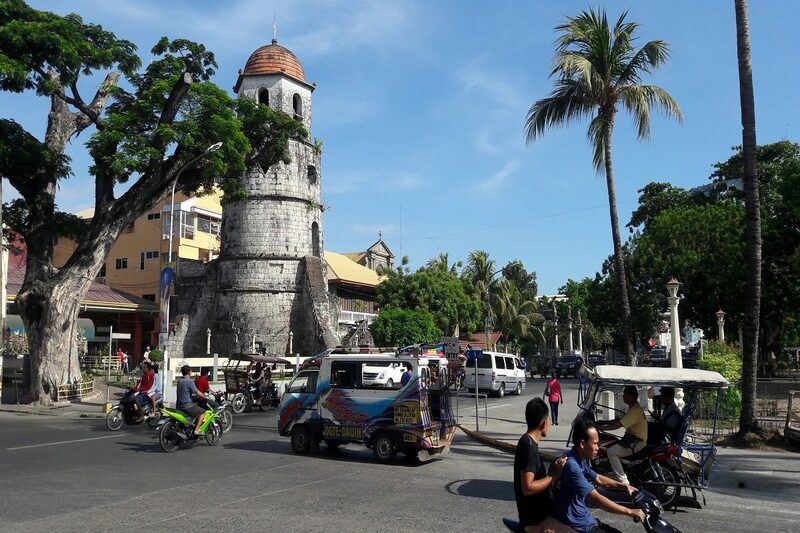 Dumaguete City Mayor Felipe Remollo believes that the purchase of the new equipment will ensure efficient garbage collection within the next years. Remollo appealed to barangay officials and residents of the city to wait until the procurement process is completed in strict adherence to all applicable laws and regulations by the Commission on Audit (COA). “It is the policy of my administration to consult the Commission on Audit, seek the auditors’ guidance and clearance in all transactions and expenditures of public funds to avoid incurring Notice of Disallowances,” Remollo said. On the other hand, the city government has also adopted a new scheme which maximized the use of other trucks from other departments while adjusting the collection tome schedule to avoid escalating the traffic congestion in the downtown area. NEGROS ORIENTAL, (PIA) – The Energy Development Corporation (EDC) and its 89 partner-institutions planted a Red Lauan tree (Shorea negrosensis) last December 12 in Silliman University for its one million tree to mark the first anniversary of the ‘10 million trees in 10 years’ for a Greener Negros movement. According to EDC Corporate Communications Officer Frances Ariola the planting of the Red Lauan is a fitting and significant way of commemorating 10M in 10’s first anniversary since the tree species’ name – negrosensis, was taken from the name Negros. The specimen on which this species was described was first collected in Negros Island and it is endemic in the Philippines, said Ariola. Moreover, the International Union for the Conservation of Nature’s (IUCN) Red List of Threatened Species has identified it as a critically endangered tree. Belonging to the IUCN’s highest risk category means that this species is facing a very high risk of extinction in the wild. Today’s event caps 10M in 10’s series of events which started with the first Negros Island Positive Energy Battle of the Brains on October 10 and a series of tree planting events with its various partners. As the only private company in the country that has identified and rescued 96 of our country’s endangered premium and indigenous tree species through its BINHI Tree for the Future program, EDC led other organizations from different sectors in this ambitious movement to restore the Negros Island’s forests. This initiative goes well beyond its need to plant and grow trees to recharge the geothermal reservoir and continuously supply clean, renewable power to the Visayas region. “We are doing this because it is the right thing to do,” explained Soriano. The event is led by Soriano, the environmental ecologist and Professor of Wildlife Biology from the University of the Philippines’ Institute of Biology Dr. Perry S. Ong; 10M in 10’s Executive Director, Ms. Myrissa Tabao; Venture for Fundraising, Inc.; officials of Silliman University; and the Negros Oriental Association of Corp Commanders. DUMAGUETE CITY (PIA) –About 20 participants from different Gawad Kalinga (GK) villages in the province participated in a seminar-workshop on basic urban gardening and fabrication of simple barrel aquaponics recently here. Organized by the Department of Science and Technology (DOST), the training aims equip the residents on basic gardening and aquaponics so they can apply it in their houses and share it with the constituents in their respective communities, said DOST Information Officer Sean Adrian Guardino. Aquaponics system is a food production process which combines traditional aquaculture (raising aquatic animals in tanks) with hydroponics (cultivating plants in water). “The animals and plants in an aquaponics system have a symbiotic relationship. Effluents from aquatic animals are used by plants as food. In the process, the plants purify water for the aquatic animals,” Guardiano said. The activity is in cooperation with GK Negros Oriental and Foundation University (FU). Klein Koerkamp, the current dean of College of Agriculture of FU discussed urban gardening, its concept and practice, seedling management and types of containers, nutrient and pest management, hydroponics and aquaponics. Other topics also included types of hydroponics and aquaponics systems, their advantages and disadvantages, fabrication of vertical hydroponics and barrel aquaponics. The activity also included a tour in FU hydroponics/aquaponics facility. Video clips on urban gardening in the Philippines and modular aquaponics were also shown to the participants. “The concept of hydroponics and aquaponics was quite new to the GK participants. The group was quite knowledgeable with caring for plants due to previous trainings they had with GK and other agencies. We only showed them a simple vertical hydroponics system and a water culture system which they can easiliy fabricate themselves,” Koerkamp said. “We also showed them how to make one simple barrel aquaponics system. The main objective in introducing this model is to show them the flood and drain system and how the siphon is fabricated and how that should work,” he also added.